No country on earth is more devastated by US imperial viciousness – complicit with Saudi Arabia doing its dirty work. 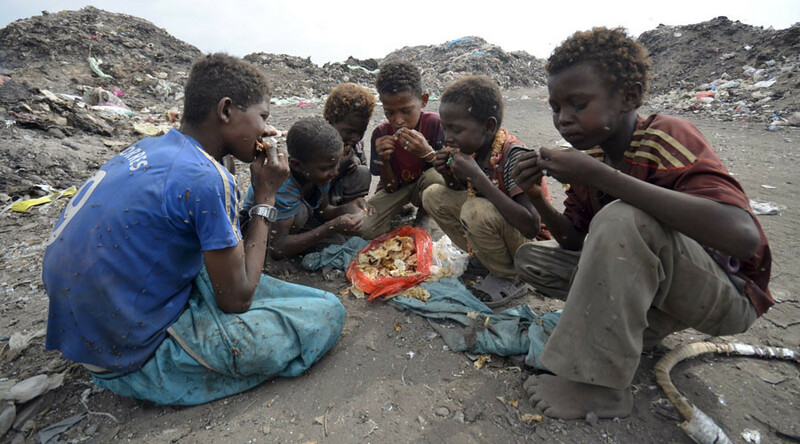 Yemenis are threatened by endless war, famine, cholera, and other horrendous issues, the lives of millions endangered. The world community failed to intervene responsibly to stop what’s going on and deliver enough crucial to survival humanitarian aid to its long-suffering people. Yemen is the “largest food security crisis in the world…An entire civilian population” is being “strang(led),” Egeland stressed. Cholera continues raging out of control. According to the World Health Organization (WHO), over 140,000 cases were identified from April 27 through June 14, numbers rising exponentially. The agency said suspected cases reached 151,000. The outbreak affected 20 of Yemen’s 22 governorates in seven weeks. Over 1,000 deaths are known, likely many more not reported. Lack of access for millions to clean, safe water and proper sanitation are responsible for the massive outbreak – sure to grow and cause many more deaths. “Countries facing complex emergencies and particularly vulnerable to cholera outbreaks,” the WHO explained – none more disastrous than conditions in Yemen. Using money from its emergency fund, UNICEF is paying Yemeni doctors, nurses and other health workers salaries they haven’t received for months to help combat cholera. Its regional director Geert Cappalaere called the outbreak “massive” in a country never before experiencing something this severe. Cappelaere and others predict the disease could affect 300,000 or more Yemenis in the coming weeks. UN humanitarian coordinator for Yemen Jamie McGoldrick called what’s happening “heartbreaking…Humanity is losing out to politics,” he explained. Conditions are devastating for millions in a nation on the verge of collapse. Less than half of its hospitals are operating. They face shortages of everything, unavailability of much of what’s needed to treat illnesses, diseases and injuries. America’s war on Yemen, complicit with Riyadh, bears full responsibility – Trump escalating what Obama began.